For about a year now I have been making and using my homemade toothpaste. Most people cringe and wonder if it works. I am here to tell you that it does. I have never had a cavity, and my dental hygienist says my teeth and gums looks great. Why did I stop using store-bought toothpaste? The answer is simple. I figured if the label says “do not swallow” and “if swallowed contact poison control” that it probably wasn’t a good thing to be putting in my mouth. It seems like a pretty easy task to keep our teeth clean, brushing and flossing and mouthwash isn’t too complicated of a routine, so why did toothpaste have to be complicated? Why does it have to contain sugar … something that causes tooth decay??? seems counter productive. Why does it have to contain nasty chemicals that can poison me? Why would I put that in my mouth? Okay, you get my point. Melt some coconut oil in a small bowl or right in your glass jar. If this is your first batch, just make a little bit to try it out, a few tablespoons will do. Now add 5-10 drops of tea tree oil. If you need to make it sweet like the store bought kind, this is where you add the xylitol or stevia to your taste. I made mine sweet at first when I was transitioning to natural toothpaste, now I leave it out completely. You can also add other cleaning agents. I have heard of ground sage and bentonite clay being added. Also, you can leave out the coconut oil completely and make a toothpowder. People add sea salt to some tooth powders. It’s all about experimenting to see what you like and can tolerate. To use, I just dip my brush head into the jar and get some on the bristles. I also use an electric toothbrush. I feel like it does a better job of using the grit from the baking soda to get my teeth nice and clean. 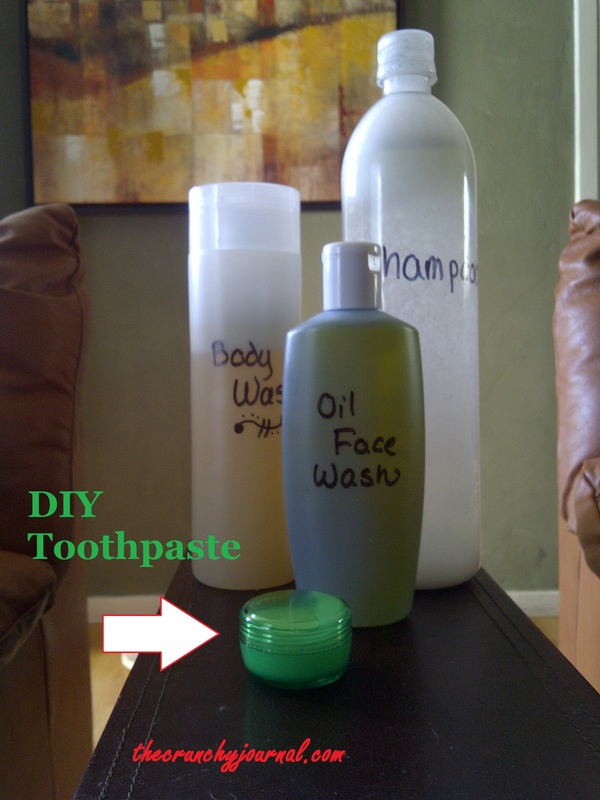 I will also be putting up my recipes for mouthwash and retainer/denture cleaner! Until next time, I send you peace, love and good energy.